People in cities around the world from Los Angeles to London to Lanzhou are fighting to breathe, forced to fill their lungs with polluted air each day. So, isn’t it remarkable that we don’t have the fine-grain data that would arm citizens and government authorities with the information they need to help tackle the problem? This isn’t a technological issue. Low-cost and lightweight sensor technology already exists to allow us to monitor pollution on a very local level, but there are a variety of reasons these kinds of monitoring networks don’t exist ​in the real world today. The largest is this: it costs money to invest in a real-time sensor network, and there are few incentives for citizens to be engaged over time. Where are the economic benefits for citizens who invest in hosting sensors for the good of the community? This is why Streamr is today announcing its partnership with Smart Citizen, who have years of experience in ensuring ordinary people are able to utilise and control the information in their environment with simple-to-use, beautifully designed open-source sensors. 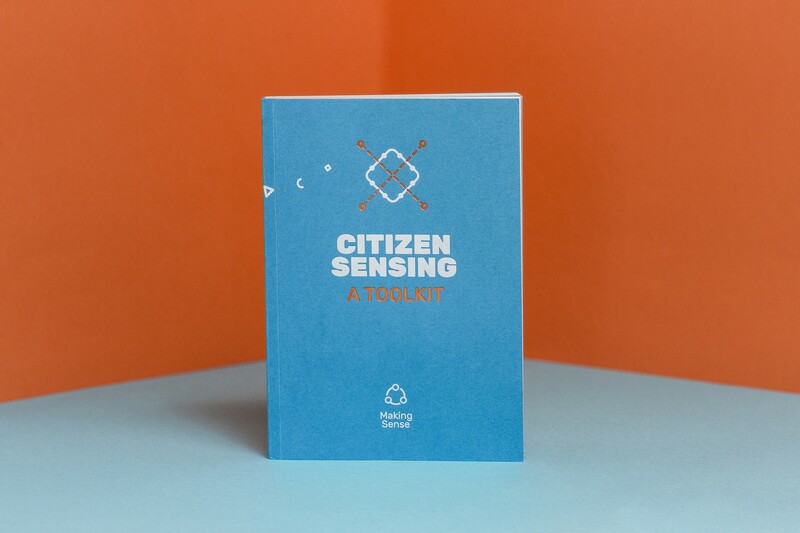 Smart Citizen will provide the know-how about environmental sensors, how people interact with them, and how they could be used to enable communities to produce change. As an integral part of Fab Cities and the Fab Lab Network, we look forward to engaging with a broad and vibrant technological community engaged with the transition towards more inclusive and sustainable cities. Streamr will provide the mechanism for real-time data generators to be reimbursed by ordinary citizens and funding. Smart Citizen have a profound understanding of how to work with communities to ensure sensor technology becomes embedded into solving difficult problems in cityscapes. We are honoured to be working with them on this showcase project and hope we can create a self-initiating, and self-funding, decentralised community information system that could eventually be rolled out across the world. — Henri Pihkala, CEO, Streamr. In East London, in a neighbourhood that sits next to the 2012 Olympic Park, Streamr, Smart Citizen and other partners on the ground will work with businesses and households to help them host their very own Smart Citizen sensors​. Those sensors will produce granular real-time information about particulate and NO2 levels. Through WiFi, this data will be fed to Streamr’s Editor and Marketplace, and made available for subscription to the people who want that information the most: government agencies, environmental bodies, or even concerned parents. By monetising that data, we expect to create just the right incentives to encourage neighbouring communities to invest in sensors themselves, because they will earn money for doing so. By the end of 2018, Streamr and Smart Citizen hope to create a decentralised​ system​, on a not-for-profit platform, where families, researchers, or the mayor of London can subscribe to the data. Everyone can have access. And thankfully, central authorities will no longer be able to control this information for their own ends. We also know that what gets measured gets managed. So with that information, it will become infinitely easier to create real-time solutions to respond to real-time information. For example, busses and cars can be temporarily redirected when pollution levels get too high in one area. The project, which will be on display at Streamr’s pavilion in under two weeks at Consensus 2018, will also serve as a test bed for working through the hard challenges facing Streamr and Smart Citizen. How exactly will we get $DATA in and out of ordinary people’s hands? How will we create simple-to-use front end applications that mesh with Streamr’s Marketplace? We won’t stop with monitoring pollution. Use cases like these will demonstrate that community-hosted real-time data networks can be self-initiating (i.e., easy to install and learn) and self-funding (i.e., hosts​ can pay for their infrastructure investments​ through market mechanisms​). And that will start to change the very nature of what a Smart City is. Not controlled from the centre, but operated by its citizens. “We believe that Streamr and Smart Citizen are a perfect match to enable a more inclusive and accessible Smart City, in which citizens can generate wealth by using open source sensors and have access to data markets that are secure and distributed around the world. We are definitely reinventing what the Smart City means, we are enabling the growth of Smart Citizens that are masters of their own destiny.” — Smart Citizen founder, Tomas Diez. The Smart Citizen project is based on geolocation, the Internet and open source hardware and software for data collection and sharing. It connects people with their environment and their city to create more effective and optimized relationships between resources, technology, communities, services and events in the urban environment. Smart Citizen has been developed by Fab Lab Barcelona at IAAC, and is one of the leading labs of the global Fab Lab Network. The Barcelona lab is now home to the Fab City Global Initiative and the Fab Academy. The Fab Labs network was started by the MIT’s Center for Bits and Atoms, and now nurtured by the Fab Foundation. Tomas Diez will be at Consensus 2018. For further enquires contact Matias Verderau: matias@fablabbcn.org, info@fablabbcn.org or Shiv Malik, shiv@streamr.com.